We are currently looking for Wes-obsessed film and culture aficionados to help edit and write contributing news articles and commentary for The Rushmore Academy. These are obviously unpaid positions, and you are responsible for obtaining your own glock. You will earn a line on your resume/CV, and we will be glad to write letters of reference/recommendation on some fancy-smancy letterhead. Contributors will also be recognized with a by-line and on our contributors page. Blogging and/or writing experience is a plus but not required. E-mail a brief letter of interest, explaining why you are interested in contributing to the Rushmore Academy and what you bring to the (overhead shot) table, to edwardappleby@yankeeracers.org. Hi! I sent in my application a few weeks ago- any confirmation that you received it? Checking out the 2 minute trailer for Wes Anderson’s latest venture ‘Moonrise Kingdom’ I did’nt know quite what to expect. Every time he dons his director jacket through familiar territory, but skillfully is able to touch upon unchartered ground. Evolving… recyling common themes… from the film before.The thing being you haven’t seen it before. I think that’s why film buffs dig Anderson’s cinema. Moviegoers turn up in their droves to soak up all colour from the rich palettes,cute dialogue, hip fashion,exquisite set design and quirky theme tunes. 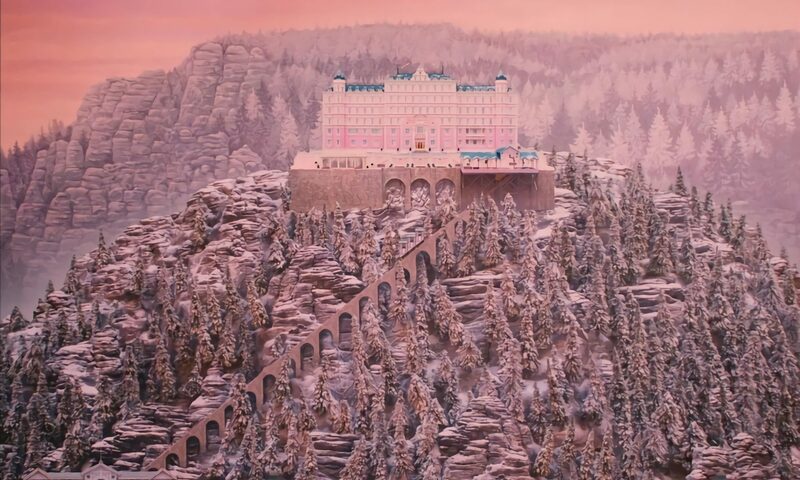 For those of you who are unfamiliar with Wes Anderson six feature films to date; ‘Bottle Rocket ‘Rushmore ,’The Royal Tenenbaums’ The Life Aquatic With Steve Zissou’ ‘ The Darjeeling Limited Fantastic Mr Fox’connect on so many levels. It is so easy to forget how well he grasps story,characterisation and plot.The art of cinema is a dying breed.I believe very few people nowadays can make the distinction between material that is ill contrieved and the work of a true artist. ;but a play. How ? Considering the average cost of a film in Hollywood is estimated at $30 million. Working with a $10 -15million is a shoestring budget; here is a man working within his means.The path that lays ahead is one with resrictions and limitations.If you are a student of the game you have to learn on the job-as you go along and embrace the pain and torture,but embrace the experience. One musn’t forget his films are very short in length range (between 90-95 mins). Anderson is a true aficianado of the word:’filmaker’. Very few directors can innovate without comprimising the underlying story and integrity of the narrative. He touches upon seperation and loss with; wit, sensitivity and humour; that induces a wry smile… and laugh and cry.It is hard not to lose your audience by depressing them. What Anderson is so adept at is; that he never insults the audience’s intelligence. There is never a final resolution . With everything pretty much left in the air. There are many questions are left unanswered When a director is able to grip a audience so much so that the can identify and relate to the characters- the director has achiveved his sole aim;entertain; but to arch a story full circle. For those who are as pasionate about film the way I am loves the interacting .Educate one another; but agree to disagree;but also enlighten one another.For this is the beauty about watching films we love.Everytime we notice and appreciate something new. Please note that the reply left on your webpage under the e-mail address- Lozzo is is the entry today,but a new e-mail address. Thank You. Previous PostPrevious Rushmore Pins are here !